Real Madrid need the best players and should sign Paris Saint-Germain star Neymar, according to Brazil great Ronaldo. 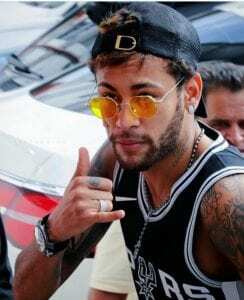 Neymar made a world-record €222million move from Barcelona to PSG last year, signing a deal until 2022 with the Ligue 1 giants. Despite that contract, the 26-year-old continues to be linked with a shock switch to the Santiago Bernabeu. Ronaldo, who spent more than four seasons at Madrid, said his former club were always looking to sign the best, and that included Neymar. “Neymar is a superb player, maybe he will be the best in the world in a few years, and Real Madrid need the best,” he said on Wednesday, via Marca . Despite the speculation, Ronaldo played down how close a potential Madrid move was for Neymar. “I haven’t heard any official representative of Real Madrid say anything about Neymar,” Ronaldo said.